(West Yellowstone, Mont.). Saturday at 11:10 a.m. West Yellowstone Police Department received a 911 call from a group of snowmobilers reporting a member of their group had struck a tree. The GPS coordinates indicated that the group was approximately 8 miles west of West Yellowstone. The inured snowmobiler, a 40-year-old man from Switzerland, had sustained face and back injuries and had reportedly lost his helmet in the crash. 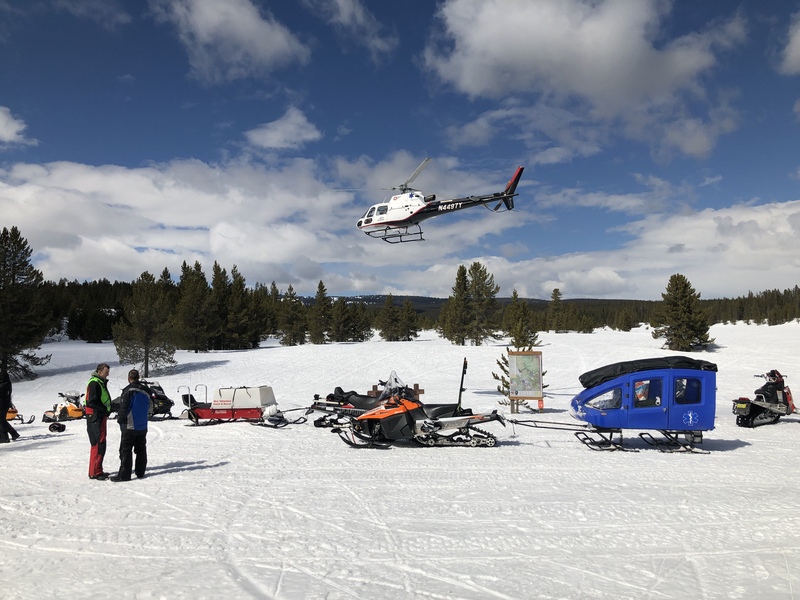 Rescuers from Sheriff’s Search and Rescue in West Yellowstone, Hebgen Basin Rural Fire District, Air Methods and Custer Gallatin National Forest responded. Rescuers went to the GPS coordinates but were unable to locate the group. Due to the man’s reported injuries, a helicopter from Air Methods was launched and staged a short distance away from the initial scene. Shortly after a passerby called 911, however the call was routed to Fremont County Idaho Dispatch. They in turn dispatched their rescue team. At 12:27 p.m., West Yellowstone received a second and third 911 call from the group indicating a different location approximately 3.5 miles further west. 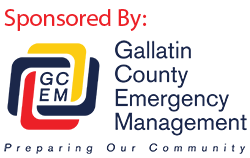 While responding to the new location, Gallatin County Rescuers met up with the rescuers from Fremont County. All teams then proceeded to the updated location and found the injured man who was conscious and alert however experiencing a significant amount of pain. He was packaged onto a specialized rescue sled and transported to meet with the Air Methods helicopter. He was then flown to Bozeman Deaconess Hospital for medical evaluation. Gallatin County Sheriff Brian Gootkin said 911 calls from cells phone are often sent to a 911 center who’s jurisdiction is where the tower is located not always on where you are. It’s always a good plan to know where you are so you can tell the 911 operator and help can get to you in the most effective way. The snow conditions combined by the warmer spring temperatures can cause many unforeseen dangers. A reliable communication device may still experience some malfunctions as all technology can. This group made a good decision calling 911 a second time, which allowed rescuers to get a more accurate location.